Teaching children to do household chores is important not only for the parents who get some help around the house from their little ones but also for the kids. The University of Mississippi has been collecting the data for over 25 years to prove that the people who did household chores as children "were better adjusted, had better relationships with friends and family, and were more successful career-wise." This happens because doing chores gives kids a sense of accomplishment and increases their self-esteem. But how can a parent explain the benefits of chores to a child to get them to help around the house more? After all, most kids don't really like to do help because they don't think that chores are exciting. So it's our task to make it exciting for them! There's a series of strategies parents can implement to motivate their kids to help more with household chores. We can make them more interested, help them feel like they're an indispensable part of "the cleaning team," and praise them for making an effort. We can certainly turn this dull routine into an engaging and entertaining game! How can parents do it? Applying the following 20 strategies, we'll see that it's a much easier and exciting task not only for our kids, but also for ourselves! One of the simplest ways to make the cleaning process more efficient and fun for kids is doing it with them. It's not going to hurt you or your kid if you get in the trenches along with them and do the chores together. Nothing motivates better than teamwork, right? In the process, you can teach your child to clean-up in a way you'd like it to be done and explain why it should be done this way. You can also show that household chores aren't a punishment (even though at times they can be used as one), but an activity everyone needs to do from time to time. After all, if mommy's doing it, why can't you? To make chores a bit easier and more interesting for your child, provide them with cleaning supplies they'll like to work with. 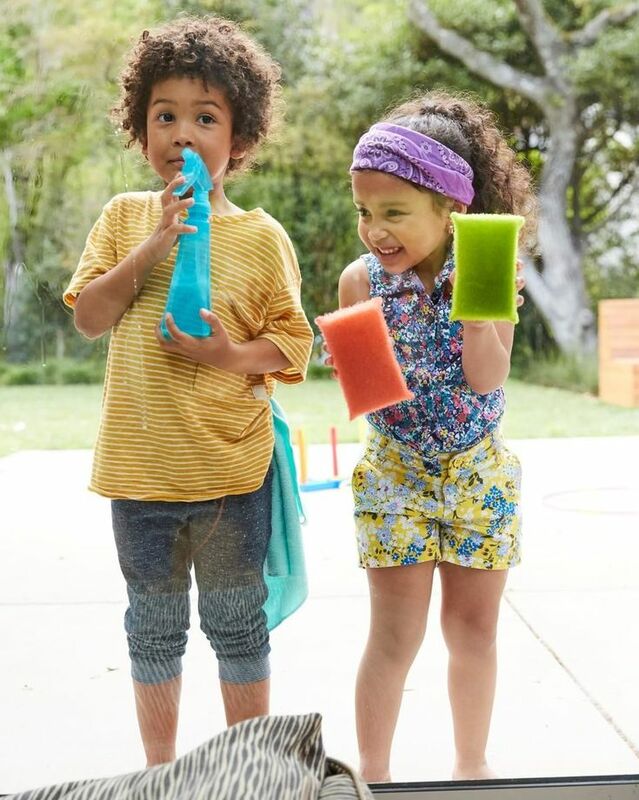 Purchase brightly colored washing cloths and sponges, as well as colorful bottles for different liquids you're going to use. Be careful when choosing these liquids and try to use organic (preferably homemade) cleaners to make sure that your child doesn't breathe in any harmful chemicals. When you're thinking about supplies, you should also keep in mind that you need to provide your child with age-appropriate things. I mean, your 5-year-old will easily work with a sponge, but they certainly won't cut the grass! For children to enjoy what they're doing, it should resemble a game. So be sure to make the cleaning process fun and exciting for your kid. Turn on their favorite music, dance with your child while swiping away dust in your living room and sing a song while washing the dishes. If you need to find some missing household items during your clean-up, turn it into a treasure hunt and reward your child when they find the lost item. You can also involve your entire family in the process and make a competition, rewarding the person who cleans up faster than everyone else. Even though you want your child to help you around the house, you should remember that they can't always do the things that you're doing. Don't make your kid do the chores that go beyond their current abilities. 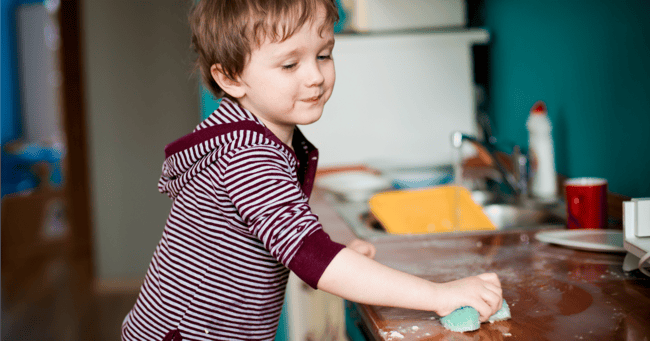 Of course, it may be hard to figure out what chores are age-appropriate for your child, but you can do it by observing your kid's behavior and seeing what they're physically able to do. Start small. At first, ask your kid to help you put dishes into the dishwasher or fold their clothes. Then ask them to do dishes or wipe the dust, and so on. Don't expect your kid to do everything right from the first time and explain every step to them. If you want your children to start doing household chores, stop doing everything for them. For example, if you ask them to clean their room and then clean it by yourself, they'll understand that they don't really have to do it because mommy will do it for them. So even if you can't stand the mess, make an effort and don't clean up after your child for some time. Let them see what happens when no one does household chores. Do they like living in a messy place? Or do they like it better when it's clean and tidy? But again, don't expect your kid to do everything by themselves, especially if they're still very young. Excessive clutter can be confusing for your child because it doesn't let them tell garbage away from necessary things. So better remove it by yourself and then ask your kid to help you with the rest. This way, your child will become much more successful with cleaning. And even better, keep the clutter under control and teach your children to eliminate it as well. 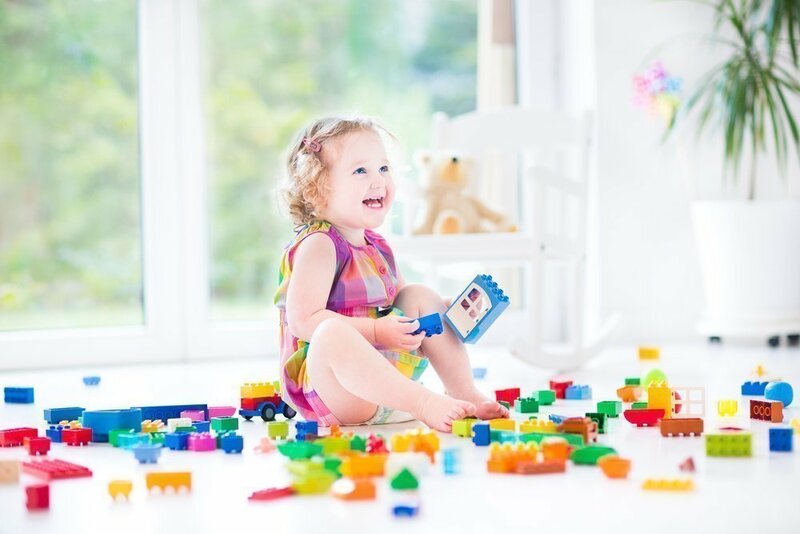 Since some kids naturally like to sort things into different categories, your child might enjoy this process and learn something new about cleaning up. It's a win-win situation! Ask your child how they want to begin cleaning up and how they want to proceed. Also, ask for their opinion on what you should do with some of the items and let them choose the chores they want to do by themselves. It'll make your kids feel more autonomous; they'll see that they're making their own decisions, instead of just being told what to do and how to do it. Besides, if your child wants to make some changes in the cleaning process, let them do it. It's great if they unleash their creativity to do something differently. It'll also motivate them to help you even more around the house in the future. Kids are kids. Whatever they do, they're only learning to do it, so you shouldn't expect too much from them. 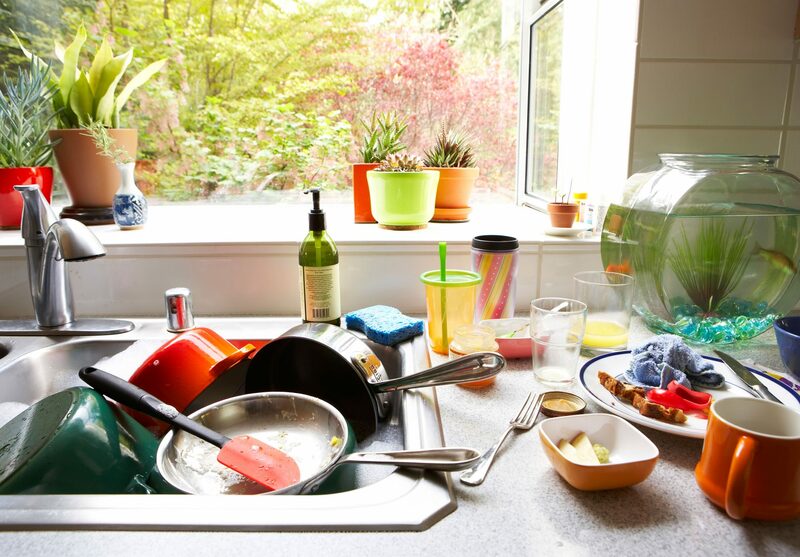 Keep in mind that a 4-year-old kid won't always wash the dishes or clean the table perfectly. Don't scold them for something that, in your opinion, they did wrong. Just keep on explaining how you think they should do their chores. Sooner or later, they're going to show you the results you want to see. But if they don't, still be patient and never emphasize the little things they didn't do. For example, if your child washed the floors in the living room, but missed a spot under the table, say that they did a great job and avoid pointing to this ill-fated spot. Usually, when you plan something and stick to your schedule, it's more likely to happen. The same happens with doing household chores. If your child knows that a massive clean-up is scheduled for the next Saturday, they'll be ready for it. Remember to include daily, weekly, monthly, and seasonal info into your schedule and show it to your child. Thus, helping them memorize that they need to pick up their toys every day, clean their room every week, and help you with other chores once a month or season. 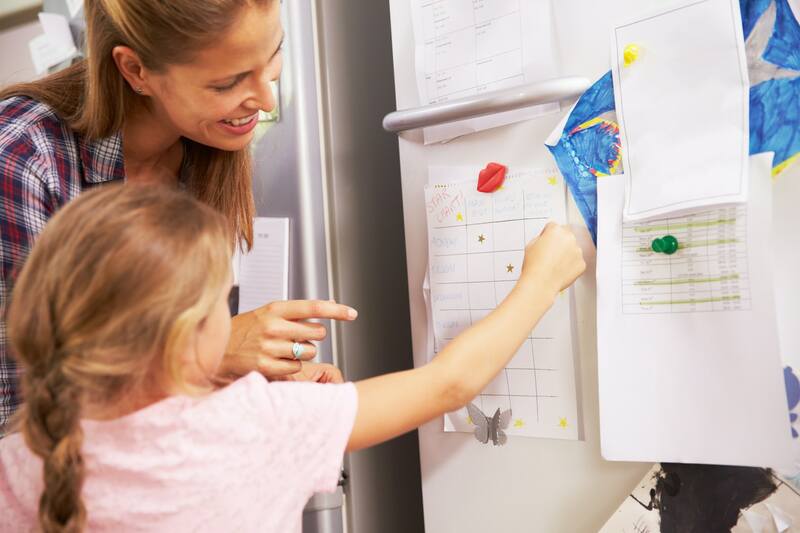 Even the simplest schedule will make things much easier for both you and your kid, so be sure to arrange it. It's a good idea to add a tad of creativity to it to make it look fun. Kids will be happier to help you with household chores if they know that they're going to be rewarded for it. As a reward, you can allow your child to watch an extra episode of their favorite show, take them on a nice walk, or let them attend an amusement park with their friends. But be careful with this approach (even though it works tremendously) and don't turn rewarding into bribing. Keep in mind that if you bribe your child into cleaning up, they'll do it not because they want to clean up, but because they'll expect a reward. More on this in the next entry. If you give extrinsic motivation to your child (like an allowance), they learn that satisfaction lies not in the act, but in the reward. And if you remove this reward (for example, stop giving an allowance), your child will stop doing this act. On the other hand, if you give an intrinsic motivation (like, telling your child why they should do it, make them feel important and praise them for helping you), your kid comes to like what they're doing and realizes that it aligns with their values. Thus, they have more incentives to help clean up and even find pleasure in the process. Everyone needs a purpose to do something. If you want your child to do chores just because "I said so," don't expect much enthusiasm from them. So what's the purpose that you should give to your child? It can be something as simple as the connection to you. Specialists in upbringing told Parents, "Even though children may say and act as if they don't want to contribute to the running of the household, everyone craves the feeling of feeling important, needed by, and connected to others." So if your kid helped with the laundry, tell them, "Thank you for helping out! Our family makes a great team" and give them a high five. Who likes to do boring stuff? Um, no one. So why would you expect your child to do boring chores? Make this process interesting so that they like it! The first way to make chores exciting for your kids is to become excited about them yourself. For example, if you say, "Let's make our beds" in a dull tone and with a straight face, it'll hardly interest your child. But if you say the same phrase in a joyful tone, with a large smile on your face, your kid will happily follow your lead and make their bed. I mean, if mommy is so excited about the chores, there should be something very interesting about them, right? Kids who don't feel like doing chores can come up with a number of excuses of why they can't help you wash the dishes or wipe the floors. But you can always deal with these excuses. Talk to your child and ask why they don't want to help you with the chores. Is it because their schedule is too cramped? Or, perhaps, they don't really understand why they should take part in this process? Whatever the reason for finding excuses, you can always eliminate it after a good talk. Just deal with the root of the problem that makes your kid find these excuses, not with their lack of desire to do the chores. On the one hand, turning chores into a routine is a good thing, but on the other hand, it can make your child bored if they have to do similar tasks over and over again. So switch the routines up from time to time. If you have several kids, let them take turns washing the dishes, cooking, washing the floors, or wiping away the dust. If you have only one child, take turns with them and, if possible, get your significant other involved in the process, too. By doing new tasks every now and then, your kid will be more excited about them and also learn new things about household chores. If your kids can't decide how to take turns, make a DIY spinning chore chart. This way, the chores your child has to do will always be the game of chance and it'll make the process more exciting for them. I mean, who doesn't like this suspension element of "Gosh, what will I have to do? What's gonna fall on me?" Alternatively, you can use the chore dice. Just take the usual dice (preferably large ones) and stick pictures of different chores to their sides. When your kid throws them, they'll get their next task. This approach will give a game element to an everyday routine, which is so great for kids. 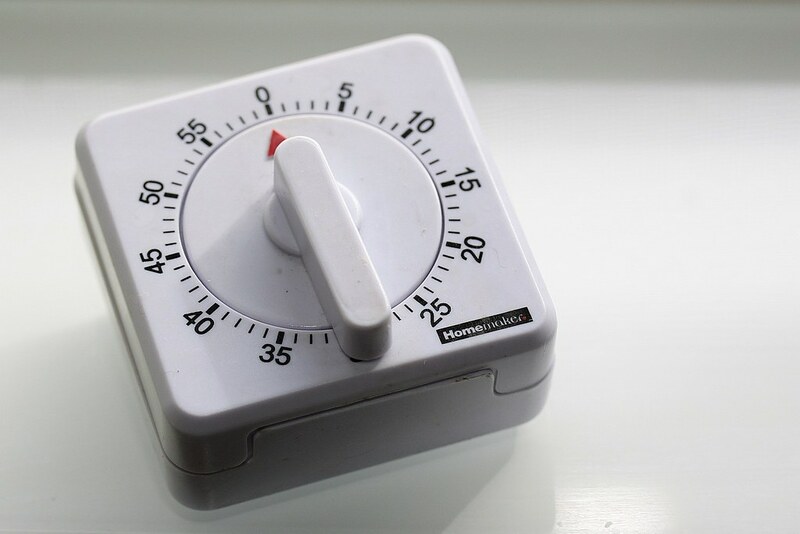 Using a timer can turn out to be a great tool to motivate your child to do chores. 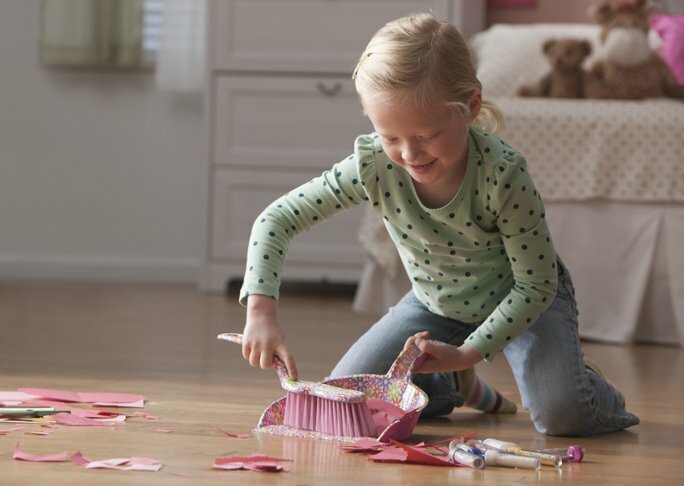 By challenging your child to finish their task before the timer goes off, you'll help them get excited about it, even if they dislike helping you around the house. First of all, they realize that working hard for a limited period of time isn't a big deal. And secondly, by giving your child a challenge, you motivate them to finish your task. Start setting the timer with, say, 15 minutes for washing the dishes after dinner, and gradually reduce the time to make it fun. But, of course, don't overdo it because no one can wash the dishes in 30 seconds. It's always better to give more attention to the effort and less to the result. Whatever your child does, you should praise them for their hard work, even if they failed in the end. The same is true about doing chores. 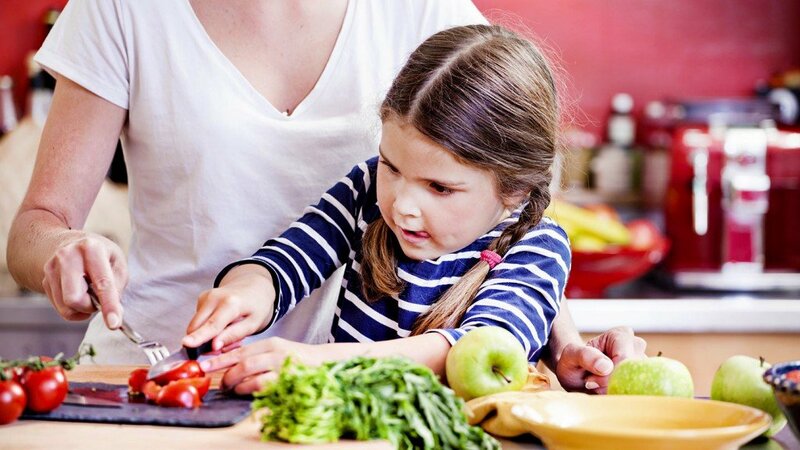 If your child helped you cook lunch, say that they did a great job, instead of pointing out the mess they made. If they didn't wash dishes well enough, praise them for deciding to help you and don't criticize them. When you absolutely have to pay attention to something they did wrong, do it with kindness and patience. This way, your child will truly learn and won't be afraid of making a small mistake again. Everyone—even little kids—need their free time. Respect your child's privacy and take their daily plans into account. It might seem that playing around isn't important, but for your child it is. Through playing, your kid learns, grows, and develops. So if it's your child's downtime and you see them playing with their toys, wait a little bit before asking them to help you with the chores. Or tell them that you need their help and give them an option to either come right away or join you after they're done playing. It'll make your child feel that their choice is valued. According to a famous quote that's allegedly attributed to Albert Einstein, "Insanity is doing the same thing over and over again and expecting different results." Even if the renowned scientist didn't really say this, it's still very wise. So if you keep on using the same strategy to make your child help you with household chores and it doesn't work, change it. Do something else. Take your child's unique features into account and pay attention to their likes and dislikes. All kids are different and at times no conventional approach works for them, so you need to come up with something new. Just be flexible and creative, and everything will be fine!